Now that things have gone properly pear shaped, I’ve got renewed energy to practice Gen Dekyong’s advice from the Dorje Shugden empowerment. These present an obstacle to our spiritual practice. These improve our spiritual practice, and enable us to progress. So for spiritual practitioners of all levels. the question is, are the things we’re experiencing ‘adverse’ or ‘favourable’? Because they’re not inherently either way, we can play what they are. Do events in our life hinder or help us on our spiritual path? Can we even get though today relatively unscathed? Because it is our choice, and it’s all too easy to categorise things in a way that doesn’t really help us. Stepping back from a situation often helps you get a handle on it. You can see I’m too attached to the project, it’s gaining popularity, and I might not survive as admin. But maybe Dorje Shugdan has other ideas in mind. It’s best not to take things too personally, or get too close to unreliable objects of refuge – such as a Facebook page (which by nature is impermanent), or you’re gonna get hurt. Sorry! it’s down to us. I’m actually doing the blog I’ve been planning for ages. Just maybe folk will find a blog useful instead. OK, so maybe FB wasn’t the best place for a NKT e-zine. Anyhow, it’s the grit in the oyster that makes the pearl, isn’t it. 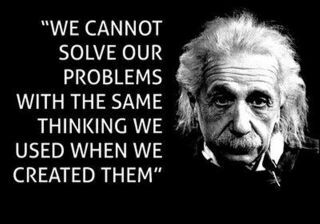 As Einstein said “We cannot solve our problems with the same thinking we used when we created them.” So it takes some lateral thinking on our part, energised by Buddha’s blessings, to re-figure the problem. Blessings change our mind from a negative state to a positive one, so they’re worth opening our mind up to. Buddhas can’t help but to beam out blessings 24/7, it’s their job! But it’s like a radio, we don’t get a reception if our radio’s turned off. Hello? Turn your radio on! Who knows what wonders we might achieve? hmmm. this came about as a reaction to something most unpleasant coming out of the blue. I’m re-editing it by the day, as i get my head round things. LoL it’s a work in progress! Does anybody have notes to Dekyong’s empowerment? (mine drowned when i dropped my iPod in the pond) Or have anything else to add? All input much appreciated – it’s my first blog post ever! I hope you’re now down to a safer level. Good on you for taking the teachings to heart, Kindsey. I’m so happy to have been of help. Good luck with it all. Luna!! thank you you so much so for inspiring me with your blogs ~ and Vide too! Good to hear from you 😀 please feel free to add some of your wisdom anytime, i know it’s well grounded in experience. Yayy Tina! I hope it’s still working out for you. 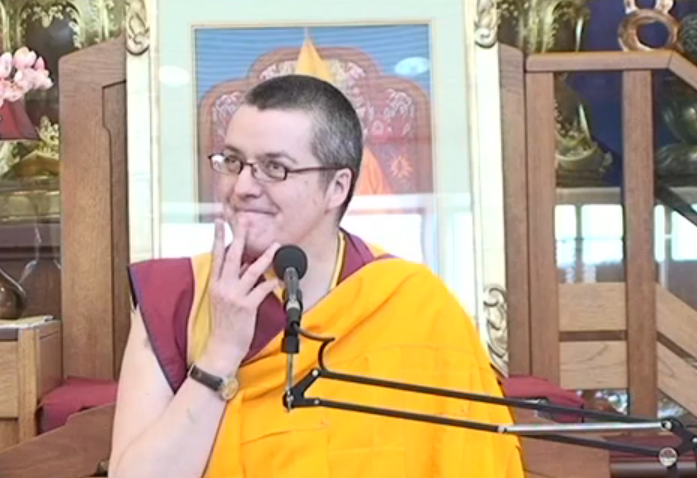 I also added a link to Kadampa Life Facebook page. Do add links to all your articles on there. Aaw cheers Luna 🙂 this does feel kinda right. Do continue to add your 2 penneth too. Yea, it’s pretty good. and it works too! Double whammy. cool 😀 I hope you could put it to good use.